Nagorno-Karabakh is an ancient Azerbaijani land. 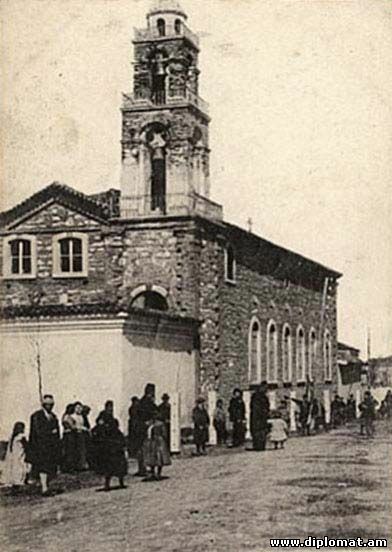 Azerbaijanis lived there for centuries while Armenians were just guests there… Simply, the re-settlement of Armenians from other regions in XIX century resulted in the change of demographic situation in Nagorno-Karabakh with Armenians being majority there at the time of collapse of the USSR. We do not eye the territories of other countries. In spite of the circumstance that the current Republic of Armenia is created on the historic lands of Azerbaijan,… the patience of the Azerbaijani people is not unlimited. We must restore the territorial integrity of our country. 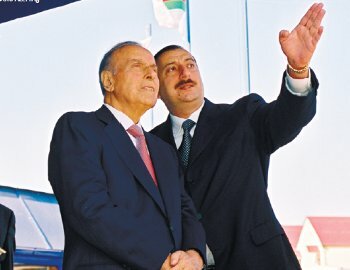 The above mentioned racial delirium is an extract from the speech of Azerbaijani President Aliyev in front of participants of military exercises on June 24, 2010. So, it appears as if there were no cuneiform inscriptions of Kingdom of Van where for the first time Artsakh is being mentioned as one of the regions of the Kingdom, then as tenth province of Greater Armenia; the town of Tigranakert established by Armenian King Tigran the Great [Tigran Mets] in Artsakh where excavations are successfully underway for already few years; the Amaras Monastery built in IV century where creator of Armenian alphabet Mesrop Mashtots opened the first Armenian school in early V century. 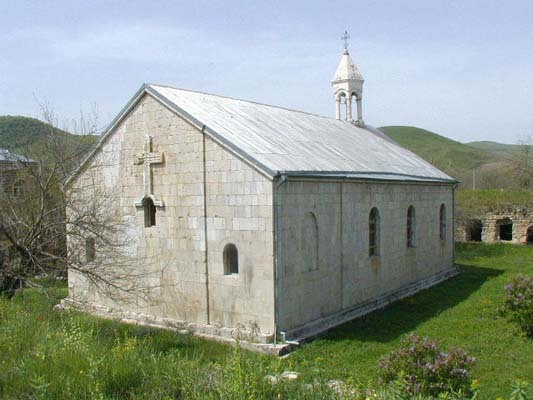 The tomb of grandson of Gregory the Illuminator Grigoris (338) who spread Christianity in Artsakh is in Amaras; Artsakh-Utik Kingdom created by Vachagan Barepasht in V century with Partaw (current Barda) capital; the Aranshahiks dynasty recognized as royal dynasty by Persia; the Principality of Khachen during the years of which [1216-1238] one of the masterpieces of Armenian architecture Gandzasar Monastery was built. On the stones of the wall of the monastery the heroic history of the Armenian region is carved in Armenian; other marvelous monuments of Armenian architecture are St. Hakob, Dadivank, Erek Mankunk [Yerits Mankants Monastery], Yeghishe Arakyal, Gtich monasteries, Koshik Anapati monastic complex in the forests of Kolatuk village, etc. The Armenian ministerial-principal activity was never interrupted in Artsakh even during Tatar-Mongolian yoke. Since XVI century the old ministerial houses were being replaced by melikdoms [feudal entities in Nagorno-Karabakh; melik (king) designates an Armenian noble title in various Eastern Armenian lands]. 1. Gyulistan – spreads from Gandzak (Gyanja) to Tartar River (includes Khanlar-Getashen and Shahumyan regions). 2. Jraberd – spreads from Tartar River to Khachen River (north and central parts of Karabakh’s Martakert region). 3. Khachen – spreads from Khachen River to Baluja River (central part of Nagorno Karabakh Republic). 4. Varanda – spreads from Baluja River to territory near Dizapayt Mountain (NKR’s Askeran, Martuni, Shushi regions). 5. Dizak – spreads from Dizapayt to Arax River (NKR’s Hadrout, Karyagino-Fizuli, Berdadzor, Kovsakan regions). The Five Melikdoms were ruled by dynasties that represented branches of the earlier House of Khachen and were the descendants of the medieval kings of Artsakh. These five melikdoms made one completion and existed until the establishment of Russian empire and became its part in 1813. 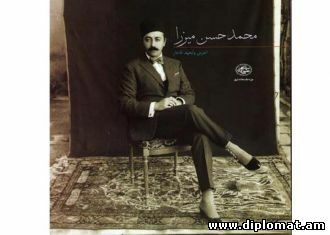 The population of Khamsa mainly consisted of Armenians. This is what Mirza Yusuf, the direct witness of how Karabakh became part of Russia, writes in his Persian "True Story” book dedicated to the history of Khamsa: "Five mahals of Kharabakh, the population of which is exclusively Christian, are known as Khamsa [khamsa, Arabic ‘five’ ]… The first of them is Dizak which spreads from west Hagaru River and along Arax River”. So, it is clear from Mirza Yusif book that the territories liberated along Arax River by Artsakh self-defense army were part of Principality of Dizak with only Armenians living there until the early 19th century. It is known for sure that Turkish nomadic tribes penetrated into the region, and mainly into Karabakh in the 18th century with the efforts of Persian Nadir Shah to weaken the power of Melikdoms of Karabakh. The tribes were mainly dealing with cattle breeding and hooliganism. Thus, the efforts of neobunyatovs, aliyevs to ground that these nomadic tribes were aboriginal are useless and ridiculous as history is as much exact science as mathematics and physics. It will be wrong to say that neo-Turks-Azeris and neo pan-Turks do not understand it. They just need to lie again to the international community, create ‘historic ground’ for their ancient-long dream to eradicate Armenian ethnos and create a super powerful state that would stretch from Balkans till Altay and Chinese wall. With that purpose they consciously use lie, falsification, bribe, military interference etc. because the ends justify the means. It may be registered from the above mentioned that the Nagorno-Karabakh issue has outgrew into a global issue of complete elimination of the Armenian state by Turk-Azerbaijani tandem. The evaluation of the created situation will be given below but first we will talk about Azeri-Turks and their state. There is no Azerbaijani nation. 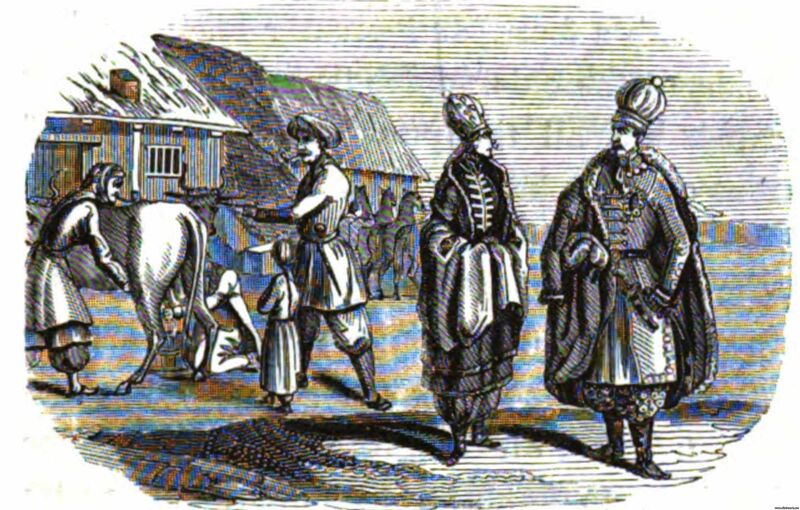 Azerbaijani is a name Caucasian Tatar-Turks ascribed to themselves. There is no mentioning of Azerbaijani nation in the 1926 population census, they are registered as "Caucasian Tatars.” Leaders of Caucasian Tatar-Turks – musavatists – named one of the three states formed in the Transcaucasia in 1918-1920 in that way dictated by Turkey to present territorial claims to Iran, the north-western part of which was called Azerbaijan (Atrpatakan), and certain number of Turks were living there. The newly created musavatist state started immediately forwarding territorial claims to its neighbors – Armenia and Georgia – that is why it was not accepted to the League of Nations. Nagorno-Karabakh was considered part of the Republic of Armenia. 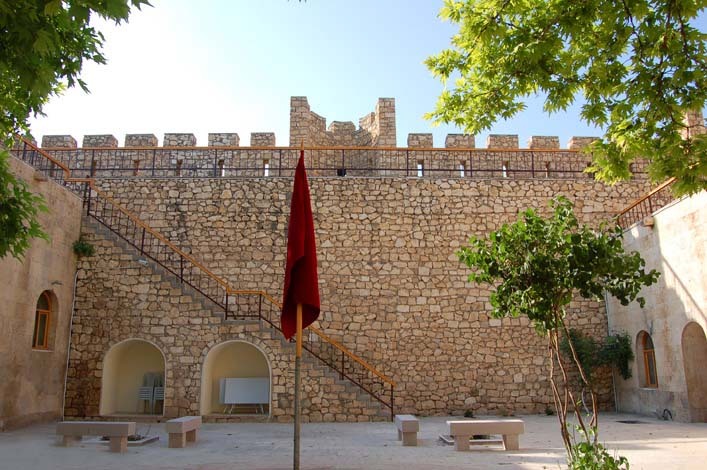 It appeared as part of Soviet Azerbaijan on the basis of the decision of the Caucasian Bureau. By the way, on July 4 and 5 of 1921 the Bureau adopted two self-contradicting decisions over Nagorno-Karabakh. On July 4 the Plenum of the Caucasian Bureau without protocol breaches adopted a decision on making Nagorno-Karabakh part of the Soviet Armenia. But on July 5, the next day, without discussion and voting Moscow representative Stalin made the Plenum adopt another decision in favor of Azerbaijan. In future the b and c provisions of the Caucasian Bureau became the most dangerous and fatal for Artsakh Armenians. Using them, the Azerbaijani authorities cut Daghkesan, Shamkor, Khanlar-Getashen, Shahumyan regions in the north-west, Kelbajar, Lachin regions in the west and all currently liberated territories by NKR self-defence forces along Mother Arax from Nagorno-Karabakh’s territory and did not include them into the autonomous region. This became the first serious division of the territory of Nagorno-Karabakh. Moreover, there was a moment when Azerbaijan refused to form the region but it was forced to do it. On July 7, 1923, with a special decree, Nagorno-Karabakh Autonomous Region (NKAR) was formed. But no peace was established. Immediately after the decision of the Caucasian Bureau the Central Committee of Armenia’s Communist Party expressed at its July 16, 1921 session its discord toward the ‘adopted’ decision. The fight for restoration of justice lasted until the collapse of the USSR. The NKAR People’s Parliamentarians’ Council made a decision at the February 20, 1988 extraordinary session on mediating before the Supreme Councils of Azerbaijani Soviet Socialist Republic [ASSR] and Armenian Soviet Socialist Republic [ASSR] for making NKAR part of Armenian Soviet Socialist Republic to which Baku responded with specially organized pogroms and massacres in Sumgait (February 27-29, 1988) and in future in Kirovabad (Gyanja, 1989), in Baku (January 13-19, 1990) and other Armenian-populated settlements. Thanks to the efforts of Marine Grigoryan and Larisa Alaverdyan documentary films about massacres of Armenians in Sumgait and Baku were shot. Gorbachev Center was always ‘late’ or was not responding adequately and it made the ferocious go wilder. The divisions of the Soviet Army and OMON [Special Purpose Mobile Unit] carried out "Circle” operation on April 30, 1991 as a result of which Getashen, Martunashen, villages of NKAR Hadrut region were left without Armenians. Losing all the property, furnished apartments 550,000 Armenians (only in Baku 250,000) became refugees from 1988-1990. On August 30, 1991 Azerbaijani Declaration on Restoration of State Independence was adopted. Basing on USSR law about "The Order of Decision on the Secession of Union Republic from the USSR”, Declaration of NKAR Regional and Shahumyan county Councils’ joint session on Declaring Nagorno Karabakh Republic was adopted on September 2, 1991, then, on December 10 NKR independence referendum was conducted at the presence of international mediators and on January 6, 1992 NKR Parliament’s Declaration on NKR State Independence was adopted. Thus, as a result of collapse of the USSR two independent states – the Republic of Azerbaijan and Nagorno Karabakh Republic were formed in accordance with the acting laws of the USSR and international legal norms. To speak of Azerbaijani territorial integrity meaning Nagorno Karabakh Republic as part of it is nonsense as NKR has never been part of independent and newly created Republic of Azerbaijan. The newly created Azerbaijani Republic immediately undertook steps for the settlement of the Nagorno-Karabakh conflict in military way. Thanks to the unprecedented heroic efforts of Armenians the enemy was stopped and thrown away from major part of Artsakh’s territory. The coupe did not help the enemy, neither did the attempt of the new President Heydar Aliyev to encourage his soldiers by opening fire from automat in the direction of the defense forces of NKR (the photo was spread by all mass media). The full failure of policy of invasion by Azeri-Turks and their state started. Today’s Azerbaijan owes Russia for good because respecting Russia’s brokering, the Armenian side stopped the further persecution of the enemy. The created current situation is a result of Azerbaijan’s aggression but at the cost of lives of few thousands of brave Armenian sons the aggressor received the worthy punishment. It seemed that the enemy was getting convinced in the justice of strive of Artsakh Armenians to live in ancient homeland free and independent and it seemed to come to terms with the situation created at its fault and would establish good-neighborly relations with the NKR and Armenia. But practically it appeared that Bishkek protocol just saved Azerbaijan from disaster and in future thanks to the permissiveness of brokers seek a revenge putting a more global issue – return not only Karabakh but together with Turkey eliminate the Armenian state. This may be testified by blahs of father and son Aliyevs. This all might not have taken place if the Armenian diplomats demanded from Azerbaijan compensate the harm to the NKR, pay military fine, etc. Getting use of inadmissible inertness of the Armenian side, the enemy till now sheds tears over ‘Khojalu,’ ‘millions of refugees’ masterly hiding its fangs of a wolf, seeking to appear in public as a victim. In parallel to it, the enemy shamefully falsifies the reality and the history of the region, creating favorable international environment for revenge. It has been necessary to give reasoned evaluation to "Khojalu” and "Million Azeri-Turkish refugees” fictions, "distinguished” bunyatov-like historians-falsifiers. Being situated near Stepanakert, in 1989 Khojalu became the foothold of Azerbaijani OMON which together with the divisions of the soviet army actively carried out punitive actions against innocent people of Artsakh. After the collapse of the USSR Khojalu became foothold for the Azerbaijani army. From there Stepanakert and neighboring Armenian villages were permanently shelled. It was extremely important to liberate Khojalu which was done by the divisions of defense army of the NKR February 25-26, 1992, leaving a corridor for the innocent population to leave. The innocent people were met at the end of the corridor controlled by the Azerbaijani National Front with fire opened at them. President Ayaz Mutalibov immediately stated that it was done by the National Front which seeks to reach power. 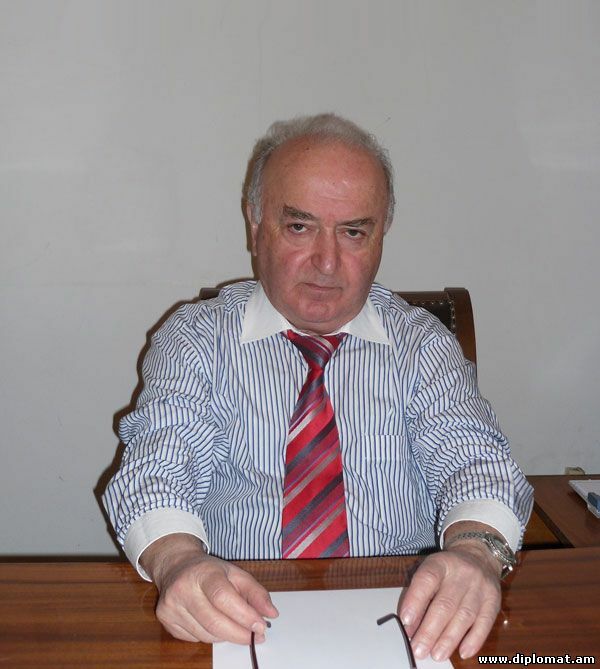 It is remarkable that Azerbaijani journalist Cingiz Mustafayev who reaffirmed Mutalibov’s words was murdered. It is important to note the explanation, many times voiced by the Commander of the NKR defense army Samvel Babayan that during all counter-attacks – from Omar to Arax the defense forces left corridors for the innocent population to leave. The circumstance that the enemy raised noise only in case of Khojalu proves that Mutalibov was right. After two months of Khojalu developments, Mutalibov was removed, and the Azerbaijani National Front came to power starting wide-scale military actions against the NKR. About ten years ago I have published a very important document at the session hall of Armenian National Academy of Sciences – the number of Azerbaijani population till January 1, 1991, of the seven unlucky regions near NKR in particular, according to the data of "The Number of Population of Union Republics According to Urban Areas and Regions as of January 1, 1992. Moscow, Information and Publishing Center of Goskomsyay, USSR” statistical handbook. As of January 1, 1991 all the Azeri-Turks were living calmly in their houses and there was no remark about displacement from the seven regions. Let’s count together the exact number of the Azeri-Turkish population. 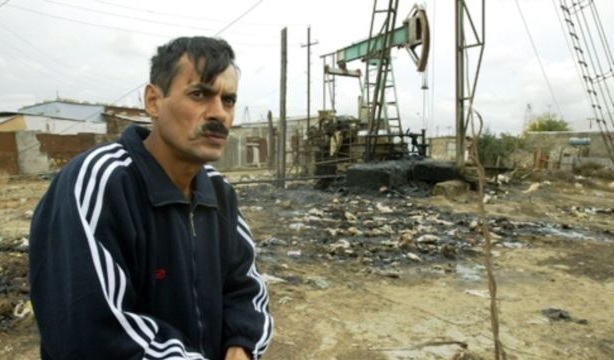 Let’s also take into consideration that 35% of the territory of Aghdam and 25% of Fizuli were under the control of the NKR defense army and that the population of Aghdam, Fizuli towns, Khoradiz settlement had left before the military actions started. From Fizuli region ((91,7-23,3)x0,25+23,3=68,4x0,25+23,3=68,4x0,25+23,3=17,1+23,3=40,4) 40,4 thousand. Thus, the total number of people moved from the above mentioned seven regions to other settlements of Azerbaijan made 318,645 thousand people. At that time about 43,000 thousand Azeri-Turks were living in NKAR. The total number of the those who moved (but not refugees) will be 318,645+43=361,645-362,0 thousand which is far from million. Some 166 thousand Azeri-Turks left Armenia but they cannot be considered refugees as they all moved all their property and beneficially bartered their apartments and houses with the support of Armenia’s authorities. Moreover, part of them living in Spitak earthquake zone received additional material and financial assistance (even after departure). It is remarkable that the Azeris left the earthquake zone few days before the earthquake hit which caused some analysts to think that the 1988 earthquake was caused artificially. Exaggerating the number of displaced-refugees (from 362 thousand to 1 million) Azerbaijan was pursuing at least two goals: first to show how bad Armenians are making so many people become refugees and second and the main to get as much financial and material assistance from the international humanitarian organizations as possible. We think these international organizations will demand report from the Azerbaijani Republic. Returning back to the history falsifiers I think that the Armenian historians must be vigilant and give permanent worthy counter-attack to the Armenian history falsifiers with the tradition of distinguished Bagrat Ulubabyan. 1. The Armenians of Artsakh-Karabakh are aboriginal from the very beginning. 2. The territories liberated by the NKR defense army are part of historic Homeland. 3. After the collapse of the USSR two independent states – Azerbaijani Republic and Republic of Nagorno Karababakh have been formed in the territory of former Azerbaijani Soviet Socialist Republic in accordance with the still acting USSR laws and international norms. 4. As a result of attack of the Azerbaijani Republic on the NKR and the counter-attack of the NKR defense army the current status quo has been established. 5. The Armenian wedge with 160km orifice between the Azerbaijani Republic and Turkey is guarantee of the existence of the Armenian state and insuperable impediment for the implementation of pan-Turkic goals. 6. Turkey which knocks the EU doors must give up its double game – its strive to become EU member and create a super powerful state from the Caucasian and Middle Asian Turkish speaking countries after eliminating Armenians. In connection with this dream a caricature is being circulated how China hastily restores and upgrades the Chinese wall with powerful defense means. Wise and farsighted Iran reinforces its border with the Azerbaijani Republic. Russia seems not to have forgotten the ‘dissemination’ of ‘Global Proletariat Revolution’ by Turkey in the Middle Asia and the creation of Basmachi Emirates with the hands of Enver Pasha who betrayed Russia’s interests. Turkey must too not forget the fate of one of the organizers of the Armenian Genocide – Enver Pasha – killed by officer of the Red Army, Armenian national Hakob Melkumov at the battle with basmachis of Middle Asia. Peace and welfare will be established in Transcaucasia if the states of the regions (recognized or unrecognized) behave in the way like the European states after the WW2 – leave the currently created borders unchanged (though there were more serious contradictions than the ones between NKR and Azerbaijani Republic), refuse use of force, seek to raise the welfare of the own people through joint economic, energy, transport and other projects. The welfare of the people is above all. Will Turkey and Azerbaijan understand this elementary truth? If yes, the future is theirs, if no they are going to face serious problems in the region. As an epilogue I will cite Napoleon Bonaparte: "For destroying Homeland the existence of even one scoundrel is enough, history knows not one example of it.” So, let us hope that Armenia will not give birth to such scoundrels while the neighboring country has already done it on behalf of Aliyev.